GOING SOLO: When his needs were not met, he expressed his frustration and this cost him. 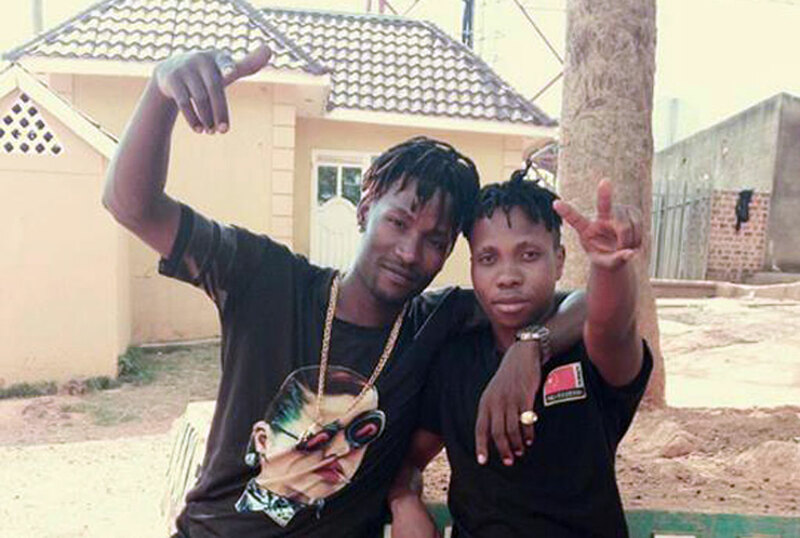 But Tip Swizzy has no regrets parting ways with his mentor, as he tells his fan Brian Mugabi. What is your real name and where did Tip Swizzy come from? My real name is Nicholas Mukalazi. When I became a musician, I wanted a name that would last forever and Tip Swizzy was what I came up with. Tip is like a hint about something and Swizzy was inspired by a Seventh Day Adventist pastor who used it a lot in reference to today. In my Senior Two. I cannot quite remember the year but singing was what I always wanted to do, not be a pilot or lawyer. We first saw you as a dancer. What forced you to switch careers? I did not switch, it is just that the group I was in fronted dance. Music comes before dancing for me. I just needed dance to breakthrough and I also used it as a benchmark. Why did you leave Big Talent? I left because Kenzo called a meeting and relieved me of my duties. For how many years were you in Big Talent? Wasn’t it challenging for you being on your own? Prior to my firing, I had already planned my next destination. I had somehow predicted it and I had also hinted it in some songs, where I mentioned the brand. The Helicopter label has me, an artiste called Mozello, a dancer and my manager. If you were earning little money in Big Talent, how did you manage to shoot videos and record tracks? I am actually related to Frank Jah, his mother is my aunt. He has been so helpful in my career, supporting me in all my video shoots, audio recordings and I also worked for him at some point. That is how I have managed to survive in this career. I was born in Makindye to the late Bruce Mubiru and Nora Nakasi. When they passed on, I grew up with Frank Jah’s mother. I have five siblings. Tell me some of your songs. I have many, including Bolingo, Shake Your Body, Nkulungula, Azonto, Kikube, Agaliko, Akabimbi, Bam Bam Shile, and Nyola among others. I did Bolingo, Kokode, Nkulungula and Shake Your Body with Kenzo, and Baby Say My Name with Spice Diana, Stylo with Khalifa Aganaga, Gal You Murder with Dax Kartel, Give It To Me with Fefe Busi, among others. I cannot even define it because I am a versatile musician. I can fuse different styles in one song. Which artiste do you love to work with? I love working with artistes who are free style and most times those are upcoming artistes. But Sheebah and Nutty Neithan top my list. About four years ago, you were commonly known as Uganda’s Cabbo Snoop, Did that trade mark work for you? It worked in the beginning because I was just making a name and I wanted to be famous but now, I am promoting myself as Tip Swizzy. Do you communicate with Kenzo after you left? We have never communicated. However if we meet, I say ‘Hi’ and he also says ‘Hi’ back. Would you say he contributed a lot to your music career? It would have been good if he completed the job. Big Talent did half of the job. What challenges do you face in Uganda’s music industry? We lack a professional record label. Uganda has a lot of talented guys but their talent just goes to waste. WHAT EXACTLY HAPPENED FOR YOU TO BE FIRED? I never signed a contract with Big Talent but I was there as a friend who offered services to them and in return they also helped push my career. When I did my first song, Bolingo, Kenzo asked if we could remix it, which we did. I became part of the group, performing at their events, doing songs together but time came and he took me for granted. He never paid me at events and promotions, I used to facilitate my audio and video productions and transport costs yet I was always travelling with the group, making a name for them. All they were giving me was a mere Shs20,000 or Shs50,000. I had ambitions to also become a star. After thinking about it, I requested that they always inform me about their performances prior to the date and tell me their offer because I was also making them money. So I did not perform with them on Christmas Day that year, which I had never done before, I did not go for a Boxing Day gig they did and on December 27 last year, Kenzo called a meeting, dismissed me and I started my own label known as Helicopter. I went to very many schools that I even forget some. But those I remember are St Augustine Primary School, Peace Infant School and Bethel Primary School. I then joined Courts High School, Crested High and finished my high school at Royal College School. Tip Swizzy says he did not join university because Uganda’s education is a waste of time.